Home, Home owners, and Dwelling Insurance in Lynn Massachusetts - David E. Zeller Insurance Agency, Inc. Liability covers you against lawsuits for bodily injury or property damage that you or family members cause to other people. It also pays for damage caused by your pets. So, if your son, daughter, or dog accidentally ruins your neighbor's expensive rug, you are covered. However, if they destroy your rug, you are not covered. The liability portion of your policy pays for both the cost of defending you in court and any court awards-up to the limit of your policy. You are also covered not just in your home, but anywhere in the world. Your furniture, clothes, sports equipment, and other personal items are covered if they are stolen or destroyed by fire, hurricane, or other insured disaster. 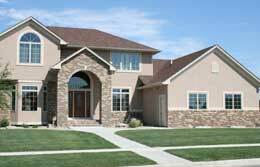 Most companies provide coverage for 50% to 70% of the amount of insurance you have on the structure of your home. So if you have $100,000 worth of insurance on the structure of your home, you would have between $50,000 to $70,000 worth of coverage for your belongings. The best way to determine if this is enough coverage is to conduct a home inventory. Expensive items like jewelry, furs, and silverware are covered, but there are usually dollar limits if they are stolen. Generally, you are covered for between $1,000 to $2,000 for all of your jewelry and furs. To insure these items to their full value, purchase a special personal property endorsement or floater and insure the item for its appraised value. Coverage includes "accidental disappearance," meaning coverage if you simply lose that item. And there is no deductible. Trees, plants, and shrubs are also covered under standard homeowners insurance. Generally you are covered for 5% of the insurance on the house-up to about $500 per item. Perils covered are theft, fire, lightning, explosion, vandalism, riot, and even falling aircraft. They are not covered for damage by wind or disease. This part of your policy pays to repair or rebuild your home if it is damaged or destroyed by fire, hurricane, hail, lightning, or other disaster listed in your policy. It will not pay for damage caused by a flood, earthquake, or routine wear and tear. When purchasing coverage for the structure of your home, it is important to buy enough to rebuild your home.